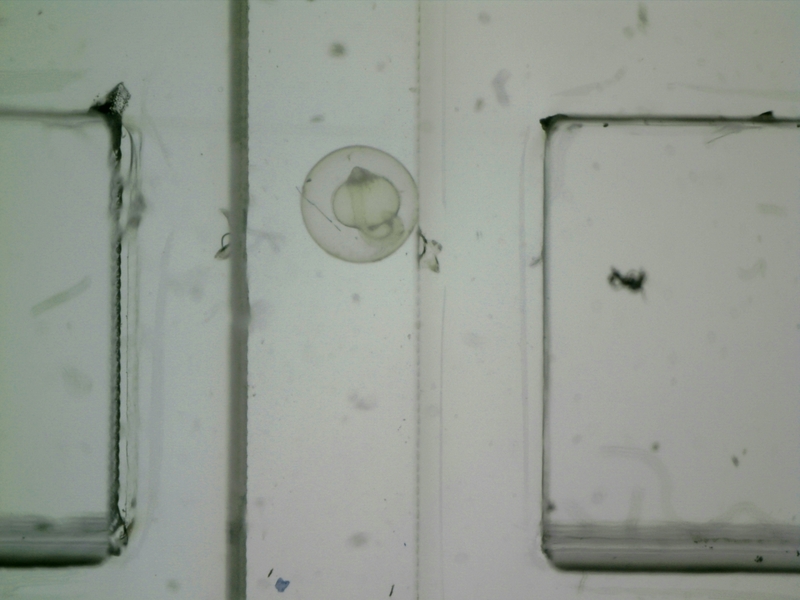 I would like to track a transparent zebrafish embryo which is not a solid material. May I know which RGB filter that is the most appropriate to be used? I wouldn't use the RGB filter ... that implies that color is a distinguishing factor for this image which it isn't. Instead, canny and circle modules (see attached) should do it. Run that robofile on the image you posted to see the green circle. Naturally, one image doesn't suffice for tracking so you'll have to test many more images to see how well the circle is detected. Sometimes things can get a bit squashed and the ellipse detection is more reliable.